Little Thatch dates back to around 1650 and can be found at Lillingstone Lovell near Buckingham. 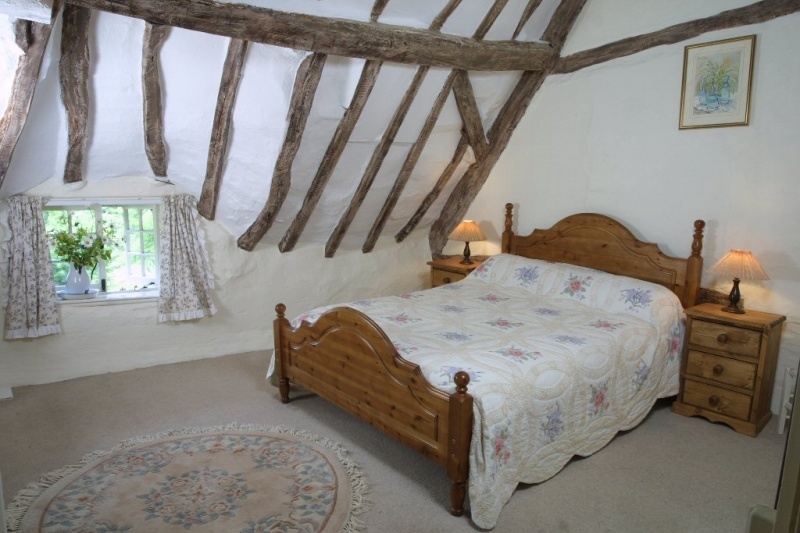 Little Thatch, Lillingstone Lovell, Buckingham, Buckinghamshire (Sleeps 1 - 2). Our holiday home is a true representation of a thatched country cottage, right down to the little details such as roses around the door and a stream outside which is home to a few resident ducks. This cottage retreat is perfect for those who want to escape the hustle and bustle of modern day living. The inside of the holiday home mirrors the country feel that the outside of the cottage holds. The heavily beamed sitting room has very low ceilings, so you have been warned! It has an inglenook with a wood burner and a basket of logs, quarry tiled floor with a Persian rug, two small sofas, one converts to a bed for the occasional overnight guest and a reclining armchair. Little has changed in this lovely village over the years and today it is still a quiet and tranquil place that lies within beautiful countryside on the borders of Buckinghamshire and Northamptonshire and just five miles from Oxfordshire. There are just thirty or so houses and this peaceful village and its beautiful surrounding countryside provides a delightful place for a relaxing holiday or break. The village is within easy reach of Stowe Landscape Gardens, Waddesdon Manor and Canons Ashby along with Silverstone Circuit and Towcester Race Course.